Brigade is one of the top real estate developers in Bangalore. 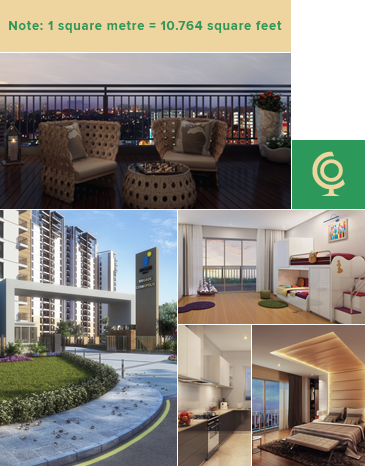 Brigade Cosmopolis, is situated in the posh locality of Whitefield. Residents are treated to a word-class standard of living that includes the choice of 2, 3 & 4 bedroom premium apartments & penthouses, a Clubhouse, Roof top swimming pool, Sky & terrace gardens, Tree grove & landscaped gardens, Tennis, squash, badminton & basketball courts and Cricket pitch. At a budget range of Rs. 90 Lakh Onwards (Inclusive of car-park and exclusive of statutory expenses), residents can bask in the comfort of a Super Built Up Area of 116 - 358 Sqm and get a personalised lifestyle in a Carpet Area of 79 - 258 Sqm.